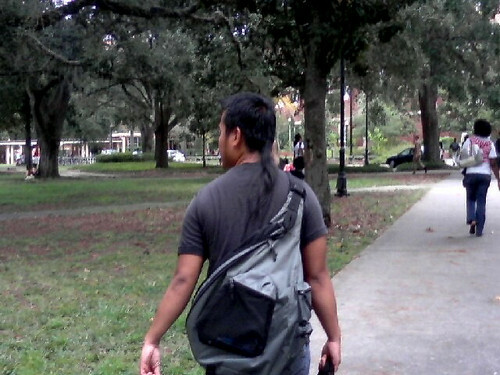 chris | Search Results | JIFFY FEET – Southern Fried Awesome! XMAS Lawn Pornaments – Deer Style! 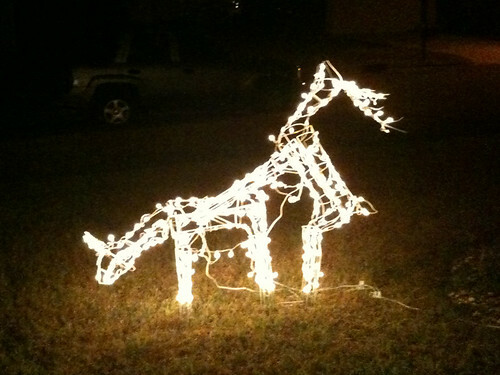 XMAS Lawn Pornaments – Deer Style!, originally uploaded by jiffyfeet. Poor Penny Carson Hates Ronald Reagan!, originally uploaded by jiffyfeet. 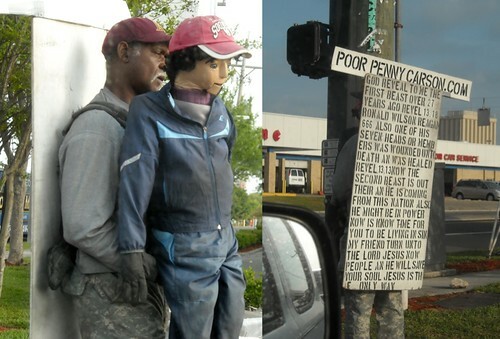 ::UPDATE:: Track the location of POOR PENNY CARSON here in the comments below or on @JiffyFeet GPS Twitter Feed! 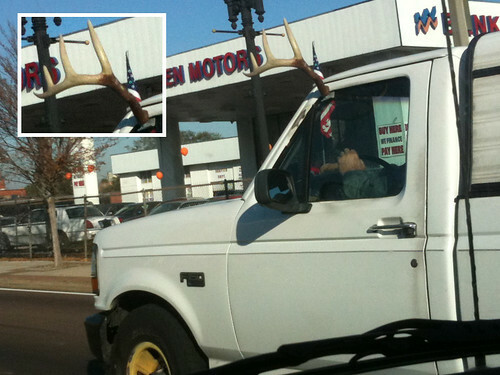 The Buck Truck – John Deere FAIL, originally uploaded by jiffyfeet. JTA BUS hittin’ switches straight out the station! 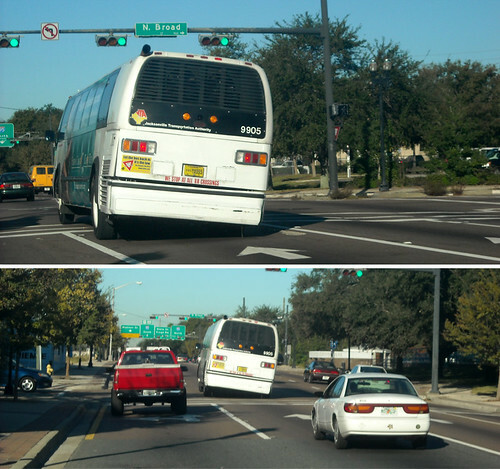 JTA BUS hittin’ switches straight out the station!, originally uploaded by jiffyfeet. Living the Krispy Kreme Dream – Guess How Many? Living the Krispy Kreme Dream – Guess How Many?, originally uploaded by jiffyfeet. 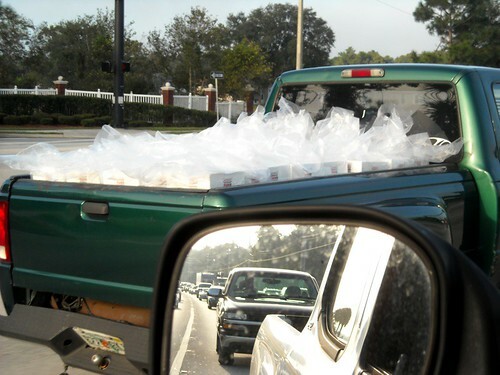 How many Krispy Kreme Donuts does it take to fill up the bed of a Ford Ranger? Well from our calculations… about 2000. (8 rows of 5 x 4 deep x a dozen) haha So Random yet so tempting. 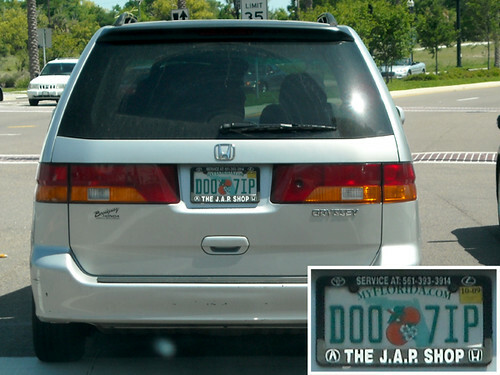 MEN of Vanity… License Plate’s That is! Can I get a loan Mr. 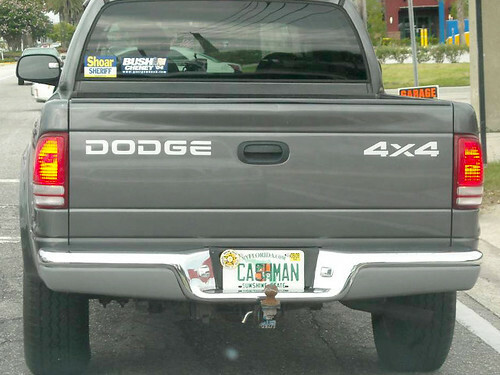 CASHMAN?, originally uploaded by jiffyfeet. Can I get a loan Mr. CASHMAN? That License plate is one sure fire way to get your truck broke into don’t you think? ps. 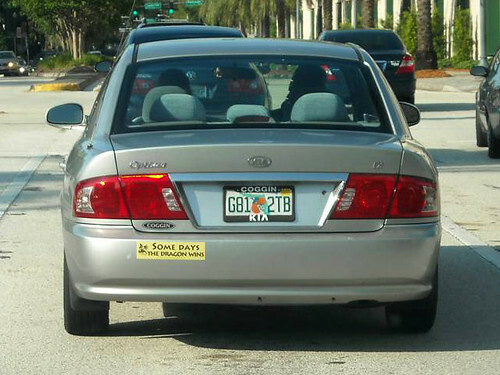 I think someone stole your NRA sticker from the right side of the window, haha. GRA5 MAN or HARD AWN? Whats Better?, originally uploaded by jiffyfeet. GRA5 MAN or HARD AWN? Whats Better? So what, GRA55 MAN was taken? 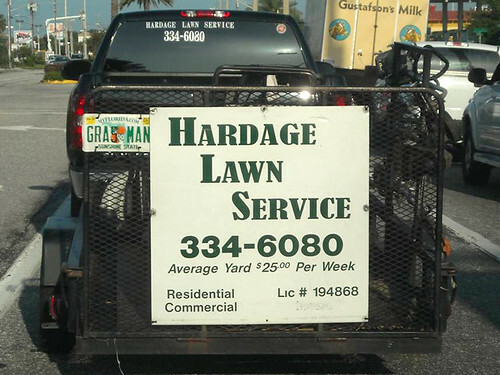 Lucky for this guy he has a giant Lawn Service Sign right next to it. I mean Im all about creative ways to say stuff in 7 letters or less but this is pushing it. I think since you gotta leave out a letter, HARD AWN (missing L) would have been a better play and a whole lot funnier! Anyone speak Witch, Wizard, Medieval, or WOW? Anyone speak Witch, Wizard, Medieval, or WOW?, originally uploaded by jiffyfeet. 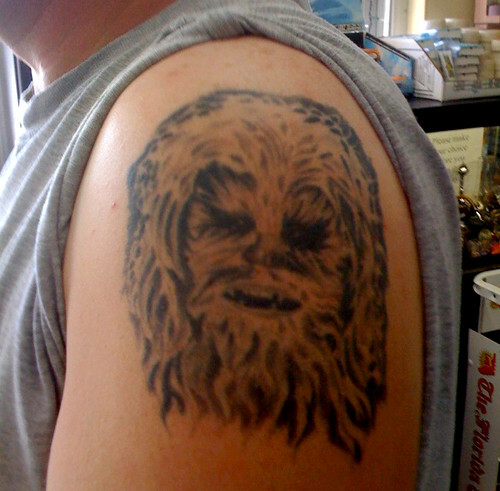 Epic Chewbacca Tattoo -Gwaaaahhhh, originally uploaded by jiffyfeet. Self Inflicted Racism – THE J.A.P. SHOP, originally uploaded by jiffyfeet.